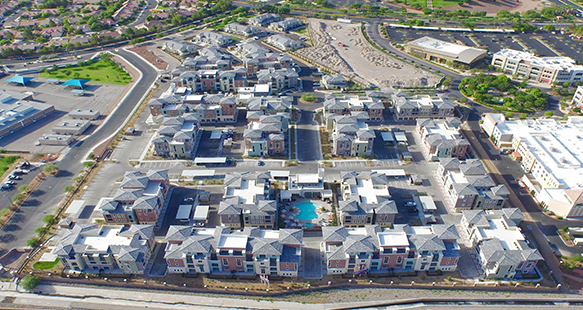 This new community is the first of its kind in Henderson, Nevada and represents an emerging trend in rental housing. 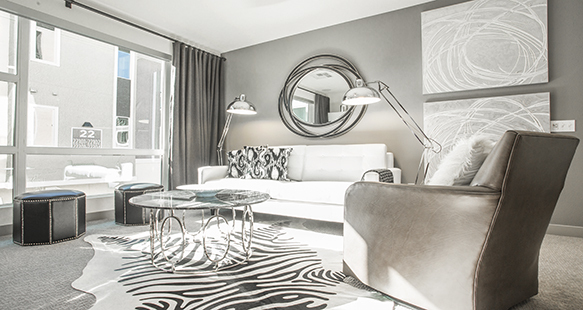 Owned by The Calida Group, this lifestyle-oriented luxury rental project features townhome-style units and stacked flats that range in size from 740 to 1,860 square ft. 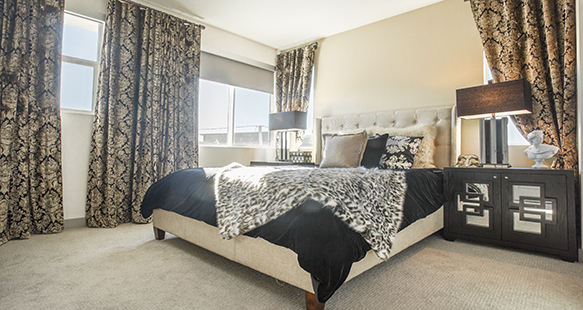 Floor plans include studios, one-bedroom, one-bedroom-plus-den, two bedroom, two-bedroom-plus-den and three-bedroom units with third-floor premium units with mezzanine levels and roof decks. The community anchors The District at Green Valley Ranch, putting residents close to one of the most dynamic shopping, restaurant and nightlife districts in Las Vegas. 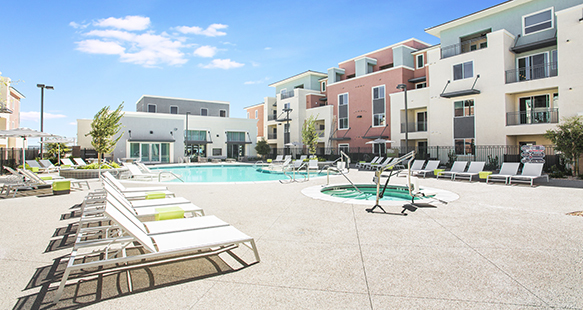 Amenities include three large community buildings, multiple pools and spas, an indoor cabana, state-of-the-art fitness center and outdoor lounge areas.